Manigault claims that despite the White House’s efforts to help Trump rehearse for an interview, he ended up making “erratic and contradictory” remarks instead. 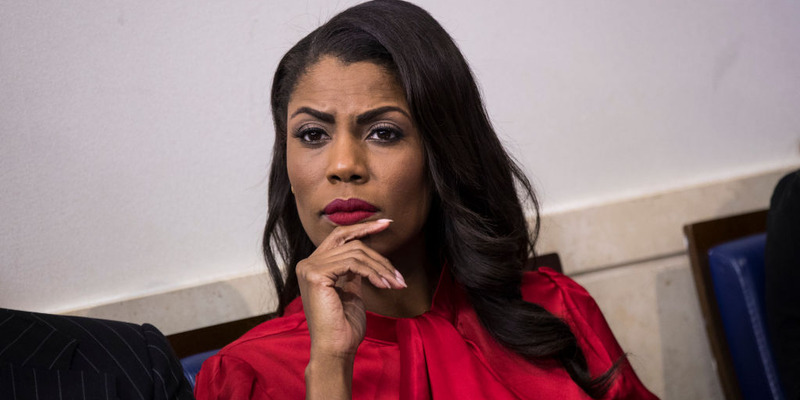 It was during an interview in May, between Trump and NBC News host Lester Holt, that she “knew something wasn’t right,” according to an excerpt from her book that was obtained by The Daily Mail. “Throughout this erratic and contradictory interview, I kept thinking, ‘Oh no! Oh no! This is bad!,'” Manigault said. During the interview, Trump made several disparaging remarks against the former FBI director James Comey and claimed that he had the Russia investigation in mind when he considered firing Comey in May 2017. The remarks appeared to conflict with the White House’s claim that Comey’s firing was predicated on the recommendation of deputy attorney general Rod Rosenstein and the FBI’s handling of its investigation into Hillary Clinton’s use of a private email server. Manigault, who served as communications director for the Office of Public Liaison, departed the White House in a fiery scene that was reminiscent of her previous appearances on Trump’s reality show, “The Apprentice.” Manigault, who reportedly butted heads with White House chief of staff John Kelly, was ultimately let go in December after a brief, but intense, tenure. She disputes the White House’s account and claims she resigned from her post. During her time at the White House, she reportedly engaged in verbal altercations with other news reporters, and claimed that “she had brought the black vote to President Trump,” according to White House correspondent April Ryan. Manigault’s book hits stores on August 14.